A low stem cup on a flared foot engraved with Tang-style birds and foliage decoration against a ring mat background; the bowl of the cup having slight lotus-petal lobes. 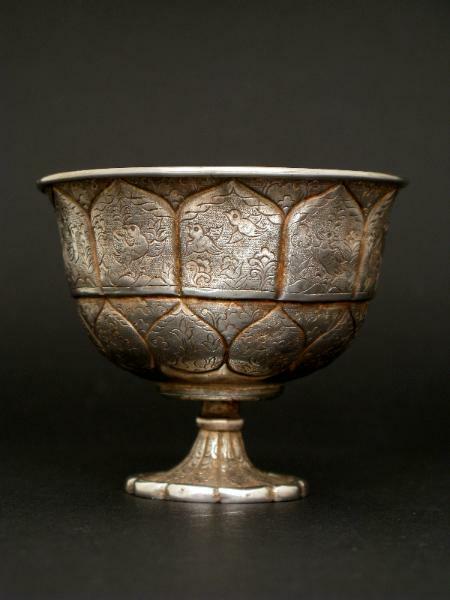 Tang silver was beginning to be rediscovered by the late 19th century leading to some silversmiths emulating Tang motifs in their work, while adding their own interpretations. 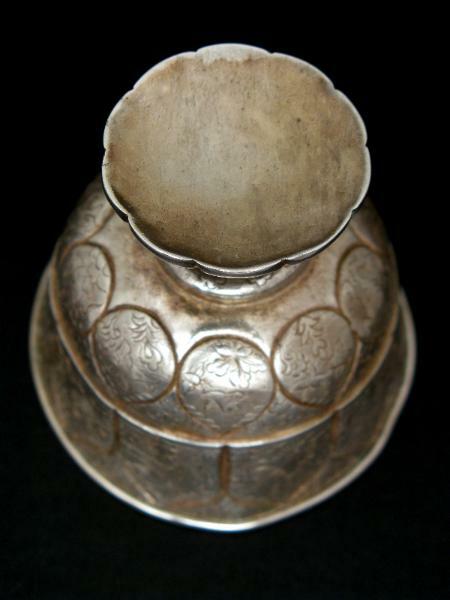 See 433 for another example Tang-style silverwork produced in China around the end of the 19th century.